Yesterday, we posted pictures of the Mass and procession held in honor of St Thomas Aquinas at the former Dominican convent of Toulouse, France, where his relics are kept. 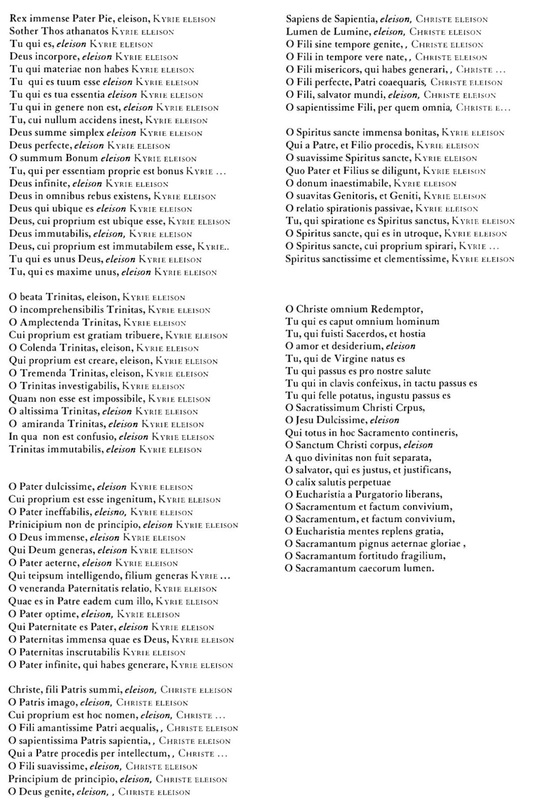 During the procession, a special litany is chanted, calling upon God with various attributes and titles taken from the writings of St Thomas; the full text is given in the jpg, which you can click to enlarge. 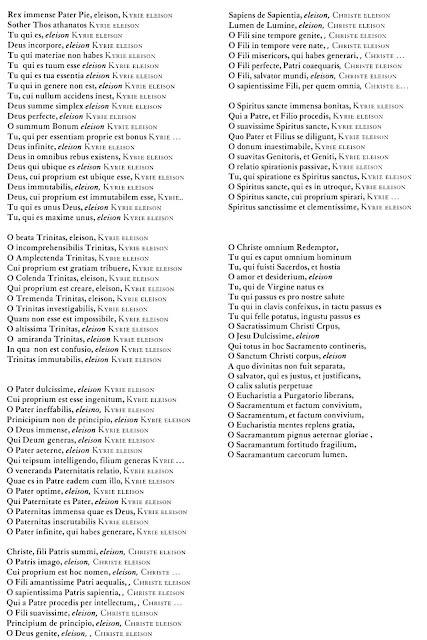 At least part of this overlaps with a troped Kyrie Rex immense, Pater pie, of which I give a recording below; I don’t know if the Kyrie comes from words of the Saint, or vice versa, and I wasn’t able to find any further information. If anyone knows anything more about it, please share your information in the combox.